McGee Cams has been building and racing Junior Dragsters for decades. Now you can take advantage of my years of experience through my Turnkey Junior Dragster service. Send me the chassis that fits your driver and I will add the correct performance parts to make it a winning car. When I configure the car for you, I take into account your driver's weight, the track conditions under which you will race and the index you will be running now and in the future. Add to these basics my many years of experience on which parts work well together (and which don't), and you can avoid the frustration of learning what I already know. Your car will be ready to win the first time it goes down the track! A typical Turnkey Junior Dragster setup includes a Chris McGee championship-winning engine--either my purpose-built 12.90 engine, The Ultimate 8.90 Bracket Engine or one of my three 7.90 engines (3" bore, 3 ¼" - 5/16" bore, or 3 ½" bore), depending on the weight of your driver and elevation of the tracks at which you race. Complete details on each of these awesome engines can be found on my Engines page. We then match the engine to one of my "Chris McGee" signature clutches, custom built for weight and elevation. These clutches have won more races than any other clutch on the market and allow the engine and car to work together for you. I recommend you also purchase a new MyChron4 660 Data Recorder. Doing so will allow you to send me data files of your runs so I can help you fine tune the car for the conditions in which you are racing. All of the above is completely assembled into your chassis and calibrated with motor plate, belt guard, dual girdle, fuel pump, belts, fuel line, throttle cable, etc. Just add fuel, your driver, and you are ready to win. 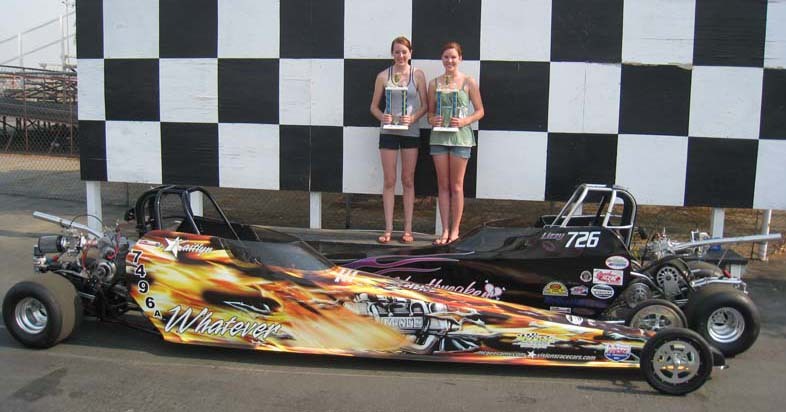 Call Chris today at 661-250-9050 or send him an email at chris@mcgeecams.com to discuss your specific needs and get a quote on your Turnkey Junior Dragster Package, and get your driver on his or her way to the winner's circle.